The setting is decidedly modest: a utility room in a red-brick house at the end of a cul-de-sac in Wales. But if the hype turns out to be right, this may be the starting point for an energy revolution in the UK. Householder Mark Kerr has become the first British owner of a Tesla Powerwall, a cutting-edge bit of kit that the makers say will provide a missing link in solar energy. Like many owners of solar panels, Kerr and his family have a basic problem. They tend to be out at work and school when the sun is shining and the 16 solar panels on the roof of their home in Cardiff are producing power. The excess they miss out on is fed into the grid and they make a return on it but it does not seem right that they do not get to use the power from their panels. However, from now, energy produced but not used during the day will charge the Powerwall and can then be used to provide them with the energy they need when theyre at home and their lights, music centres, computers, televisions and myriad other devices need feeding. A self-confessed tech-head and an electrician by trade, Kerr could hardly contain his excitement when the Powerwall arrived. This is the future, definitely, he said. For me this is the logical next step. We have the solar panels but we need a way to make best use of the power they produce. Me and my family are all out in the day, and we are not making use of the enormous amount of clean energy that our solar panels produce. The battery will allow us to store the energy we dont use in the day to use when we need it in the evenings. 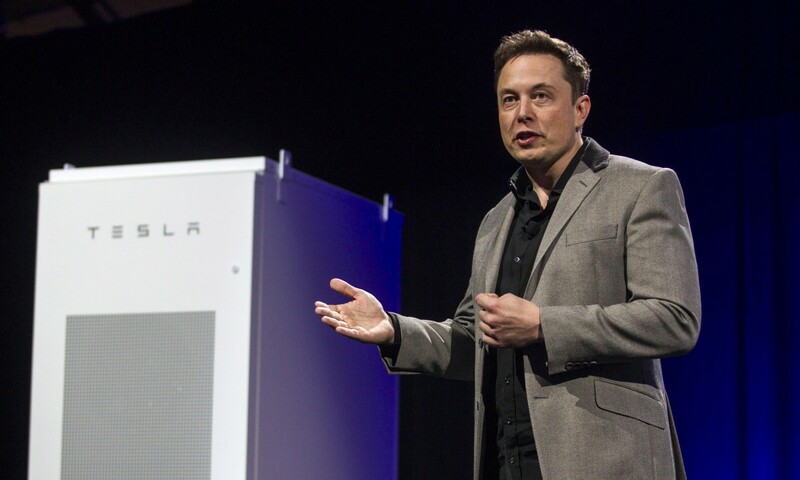 There are other battery systems on the market, but since its launch in California last year by Teslas billionaire founder, Elon Musk, the Powerwall has gathered something of a cult following. Kerr is clearly a disciple: Its a gorgeous-looking piece of technology, its design is very sleek and minimalistic and something you can hang on the wall like a piece of art, definitely nothing like some of the other clunky looking batteries. If Kerrs partner, Lyndsey, finds him missing one evening, it sounds like she may find him gazing at his new gizmo. There is a growing school of thought that 2016 could be the year of energy storage. At one end of the scale are large schemes such as Highview Power Storage project, due to start generating power next month by turning air to liquid and back again, driving a turbine in the process. At the other end of the scale is Kerrs utility room. The 7kWh Powerwall is a lithium-ion-battery system invented by the company that has popularised electric sports cars. Not one to underplay his products, Tesla CEO Musk heralded the battery as a fundamental transformation [in] how energy is delivered across the Earth. A company called Solar Plants, based in Port Talbot, south Wales, has installed Kerrs Powerwall. Its managing director, Oliver Farr, said it had e-mailed 3,000 customers about the device. Of the 1,500 who opened the e-mail, 600 said they wanted one. There is a lifestyle element to it, said Farr. Its like people who have an iPhone wanting an Apple Watch. Kerrs is a freebie. Farr said he wanted to check how it worked before he sold it to other customers. He is not putting a price on it yet either. At the launch event, Musk said it cost $3,500. But this does not take into account the cost of the switchgear needed to make it work, and installation costs. Some experts both in the UK and Australia have suggested it could be more than a decade – the length of warranty – before the Powerwall pays for itself. The number-crunchers will not put Kerr off. He believes that his solar panels have already reduced his electricity bills by 20% and thinks the addition of the Powerwall might lead to a total reduction of 80%. But its not just about the money. Were environmentally minded and this seems the right thing to do.